Description (From Goodreads): “I’ve left some clues for you. I have never read Cohn & Levithan's prized first novel, Nick & Norah's Infinite Playlist, but like most of the world I am familiar with it. 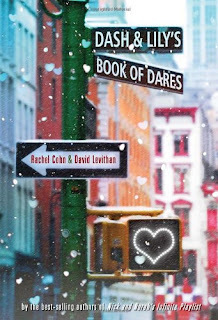 When I first discovered Dash & Lily's Book of Dares, I thought the premise sounded intriguing enough and I thought it sounded cute enough. I was right on the money, because if I had to describe Dash&Lily in one word it would be “cute”. It is one of those stories that you plow through in a few hours. While it provided some wonderful rom-com moments and a few exquisite moments, I wouldn’t stay it made a great impact on me. Don’t get me wrong, I whole heartedly enjoyed watching Dash & Lily’s story unfold, but nothing in this book was exactly earth shattering. The book is written from two POV’s; the narrative switches between both Dash and Lily. I thought this format was perfect for this type of book, especially when there are two different authors. All of Lily’s narratives were written by Cohn, while Dash’s were written by Levithan. That being said, I much preferred Dash’s sections. While I was reading the story I did not know how the writers divided the sections, but I was really drawn to the sections from Dash’s POV. All in all, I just found his narrative to be more entertaining; it was funny, honest and of course – snarky. He had a few different great lines and I was just simply taken with him. Lily, for her part, was an alright character. She was sweet and quirky, but in my opinion, she did not stand out. I am not sure that I will remember much about her character in a few months – she just wasn’t interesting enough to me. Honestly, I just read the book a few days ago and all I can remember about her now is that she loved Christmas, she had a gay older brother and all of her family called Dash “snarly”. However, even though I didn’t like Lily as much as Dash; the two together are a perfect match. Where he is snarky, a bit aloof and distant, Lily is in your face, loving and all consuming with her affection. They balance each other out marvelously – I would have loved to see more of their face to face relationship. At first I thought they were a bit too different, especially with their polar opposite reactions to Christmas. Dash couldn’t hate the holiday more, while it is Lily’s favorite time of the year. I especially loved seeing their different takes on those people who stand outside of stores and ring the charity bell. Like I said before, this book to me is best described by the word “cute”. 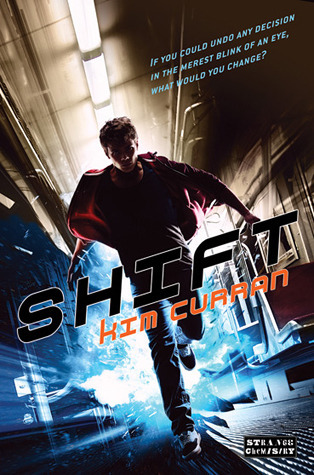 If you are looking for a quick, enjoyable teen romance then I would definitely give Dash & Lily a try. It was well written, entertaining and charming. Dash was a memorable character and Lily was quirky enough to keep your interest. Dash & Lily’s Book of Dares is an enjoyable read that will leave you with a smile. Great, honest review! This does sound like a pretty cute book, and it's on my TBR list so I'm definitely going to give it a try. It kind of reminds me of "Amy and Roger's Epic Detour" in that I didn't think the book was all too memorable but was cute and sweet and still made an enjoyable read. This is exactly how I felt about this book (I just scheduled my review about 20 min ago!). I liked Dash a lot more than Lily. It wasn't a bad book, but it wasn't mind blowing. It was "cute". Great review!